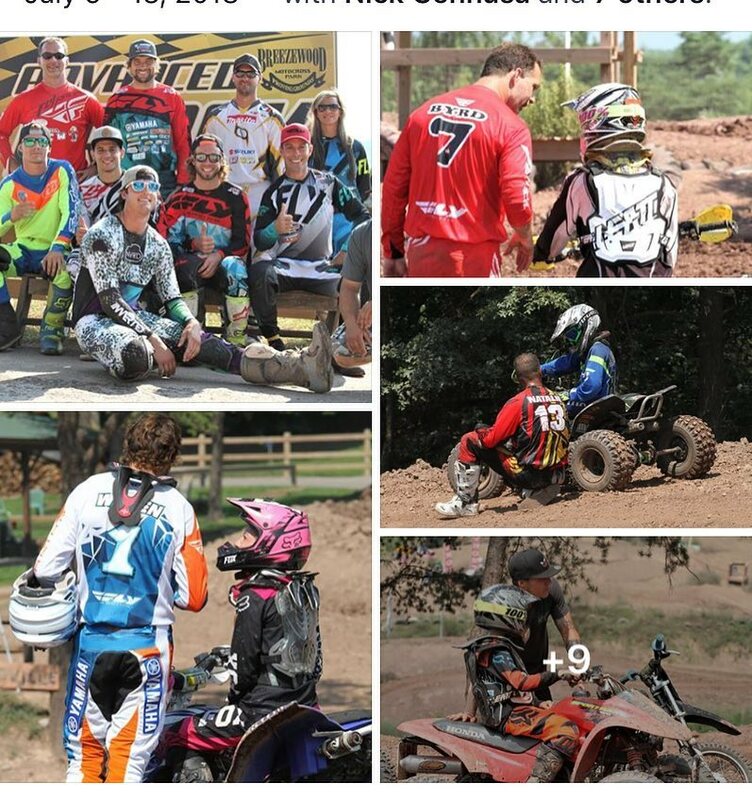 Dream Camp Quad Week is a 5 day camp focusing on Motocross Racing Skills taught by top Pro Racers. Riding skills will be tested and evaluated on the first and last day of camp. Riders can expect a lot of training time and open riding time on all tracks. Although we will have a fun schedule of activities lined up for campers the main emphasis of this camp is learning Quad Racing Skills from the Best Atv Racers in the World ! There is swimming in our pond with high dive and water slide, a bicycle ride through the countryside and a staff led trail ride on pitbikes and mini quads. Evening activities include, campfires, movies, karaoke, and night time pitbike racing. LIMITED SPACE – Reserve your spot NOW ! 5 days and 5 nights of Quad Motocross JULY 9th through July 13th. 2018 Dream Camp Pro Class Racers that where here to Train Riders.